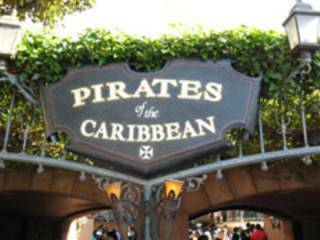 When I first saw Pirates of the Caribbean: The Curse of the Black Pearl in 2003, I hadn’t ever been to Disneyland, and what little I knew about the Pirates of the Caribbean ride was gleaned from the television. I enjoyed the first movie, without missing the experience of the ride. I thought The Curse of the Black Pearl movie was a jolly good romp, and I enjoyed that at the end of the credits I got to see a scene that many didn’t bother to wait for. In the year 2006 I attended The 64th World Science Fiction Convention, which, as it happens, was held in Anaheim Los Angeles California about a 15-minute walk from Disneyland. Needless to say, I took an extra bit of time and explored this legend of an amusement park. 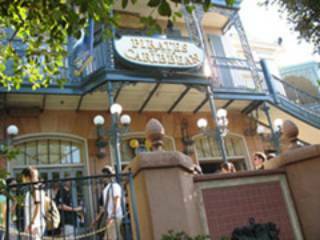 I even waited in line for over an hour to take the ride that had inspired two movies. With the experience of the Pirates of the Caribbean ride, now firmly in place, I embarked on a trip a local movie theatre to see the Pirates of the Caribbean: Dead Man’s Chest on the big screen. I was not disappointed with my efforts. The special effects in Dead Man’s Chest, like the computer-effect squid face of Davy Jones (Bill Nighy), are truly wonderful. I marvelled at how real these effects seemed, and at the expressions a squid face could portray. Even though I now look back at the effects in Dead Man’s Chest with more scrutiny, during my first watch, the characters never once made me question the reality of their world. I was happily pulled a long from scene to scene, thoroughly enjoying the trip. 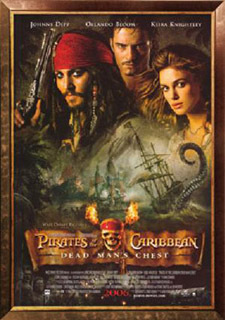 Before seeing Pirates of the Caribbean: Dead Man’s Chest, I read some reviews that claimed that Dead Man’s Chest was a poor sequel to Pirates of the Caribbean: The Curse of the Black Pearl. These reviewers must have been looking for something other than a good pirate movie, because they seem to have missed the fun. If you want to watch a good romp through unbelievable travels… if you want to see seamless effects… if you want to distract yourself from your own life for a good two and a half hours, I would suggest seeing Pirates of the Caribbean: Dead Man’s Chest. It might be a bit late to see it on the big screen, but I am definitely getting a copy of the DVD for my collection, and that will give me a chance to see the DVD extra features. Review by Stephanie Ann Johanson.